Community boards have a great deal of influence on land use in New York City. They serve an important role by providing a forum for community members to offer their input on design and construction. In this way, they can benefit both local communities and the construction industry. However, there is much that can be improved about community boards. In certain parts of the city, community boards have seen remarkably little turnover. This prevents community boards from reflecting demographic changes within their districts, limiting the diversity of opinions and perspective. Many community boards also suffer from a lack of knowledge in land use policies. Some of New York’s land use policies, such as ULURP, are notoriously complex and difficult to comprehend, particularly for those without any formal training in design or construction. While some from the industry serve on community boards, most boards have at most one or two design and construction professionals as members. This means community boards are often unprepared for the complicated land use issues that come before them. Fortunately, there will be two ballot proposals this November that will help alleviate these issues. One ballot proposal will create a Civic Engagement Commission, which would provide community boards with additional access to land use professionals. The other proposal would institute term limits on community members, providing opportunities for new members to join. AIA New York has come out in favor of both proposals. I encourage my counterparts in our industry to consider supporting these proposals as well. They would go far towards alleviating the most significant problems facing New York City’s community boards. 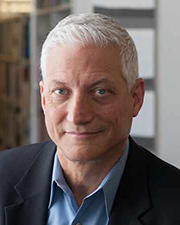 Guy Geier, FAIA, FIIDA, LEED AP, is the 2018 president of AIA New York and managing partner of FXCollaborative Architects LLP, New York, N.Y.